James Gault is a brilliant actor and voice over artist. Producers and directors always comment on his professionalism, preparation, skills, and dedication. He has experience in many roles including drama, comedy, western, and commercial. He does voice over for commercials, narration, as well as instructional and industrial videos. James Gault’s special skill is being a cowboy. 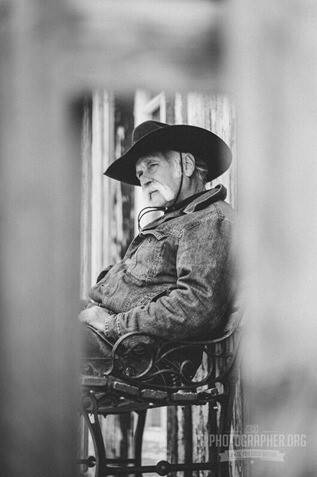 Cowboy Jim is experienced in horse riding, horse trick training, Rope tricks, and quick draw and spinning 6 shooters. Hire James Gault aka Cowboy Jim for the real cowboy experience! In 2018 Actor James Gault appeared in the movie Jane and Emma. TV shows Yellowstone and The Outpost. and commercials for Puffy Mattress and Vote Utah. Utah actor James Gault is a real cowboy, and he is finding great success in movie and television roles that enable him to make use of his great cowboy appearance and his outdoor and wrangler skills. Park City, Utah – Real-life western cowboy James Gault is finding great success in movies and television shows using his acting, voice over, horse wrangling, gun-handling, roping and outdoor skills. Gault has been busy most recently with two television shows and a feature film he is in. Yellowstone is a new television series that stars Kevin Costner and premiers on the new Paramount Network this summer. Gault appears as a ranch hand in scenes with Costner and Buck Taylor. Gault also appears in The Outpost as Bones, a mercenary killer who rides in on horseback, not as a cowboy but in full medieval battle armor. The show also begins this summer, premiering on The CW with executive producers Dean Devlin and Jonathan Glasner of Stargate fame. He just finished filming a 1980’s era film Jane and Emma, in which he plays the body guard for the Mormon Prophet Joseph Smith. Gault was born in Pittsburgh, PA where he fell in love with the outdoors while visiting his grandfather’s horse ranch and dog training facility in Wickenburg, AZ where he could ride horses in the desert. Wanderlust kicked in after he graduated from high school, and Gault spent time in Vail, CO and Wisconsin where he became proficient at snow skiing, snowmobiling and water skiing. He moved to Utah in 1997 to pursue all these activities on a much more grand scale. Currently he lives on a small gentleman’s ranch by Park City, UT right near the Utah Film Studio where Yellowstone is being filmed. Producers and directors always comment on his professionalism, preparation, skills, and dedication. He has experience in many roles including drama, comedy, westerns, and commercials. He does voice over and narration, as well as instructional and industrial videos.